In the good ole summertime, flowers are in bloom and every tree wears a beautiful coat of green. 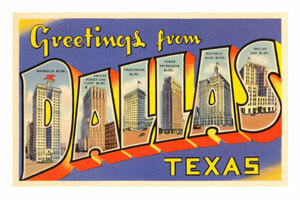 This is the perfect season to visit the Dallas Arboretum and Botanical Gardens to look at the amazing summer plantings. 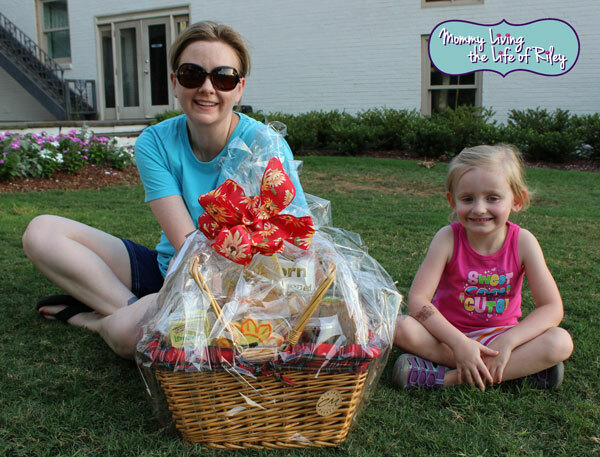 Keep reading to learn more about my family's stroll the gardens and the wonders that were waiting there for us! 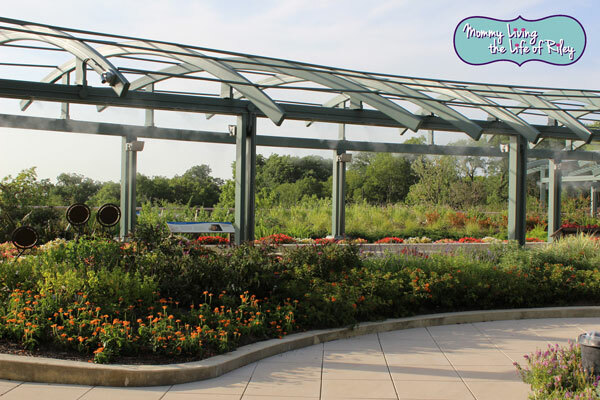 The Dallas Arboretum, one of the most beautiful outdoor attractions in Dallas, features 66-acres of spectacular display gardens that showcase incredible seasonal flowers, ornamental shrubs, trees and plant collections in a serene setting on White Rock Lake. The Arboretum is home to seasonal outdoor festivals, concerts, art shows and more. Throughout the year, guests enjoy both indoor and outdoor dining in either Restaurant DeGolyer in the historic DeGolyer House or on the Lula Mae Slaughter Dining Terrace overlooking downtown Dallas. 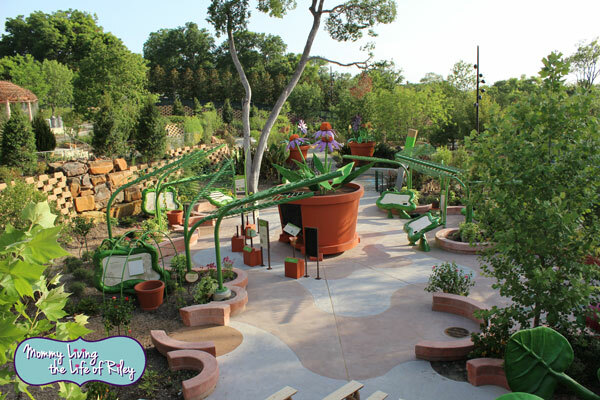 On September 21, 2013, Dallas will make history as the Dallas Arboretum debuts the Rory Meyers Children’s Adventure Garden, the world’s most elaborate and interactive garden for children. 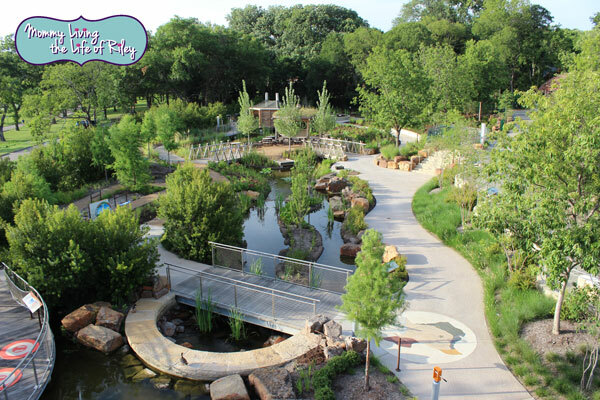 Designed specifically to address state and national standards in life, earth, and environmental sciences, the Children’s Garden will enable both the young and the young-at-heart to learn more about the natural world in a beautiful eight-acre outdoor setting. My family was lucky enough to get a sneak peek at this amazing interactive learning center and we had a blast! 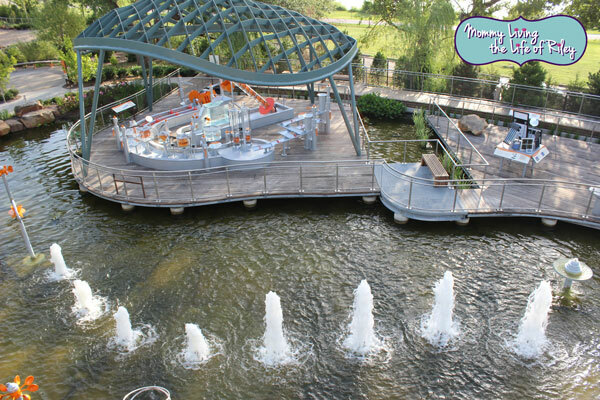 The Children's Adventure Garden is basically a "museum without walls" featuring something for almost every age group. It's often easier to show children the fascination of nature first and then provide the concepts behind the fascination immediately thereafter. That is exactly what the Dallas Arboretum set out to do and they accomplished their goal beautifully. Trees and their importance to our life on earth are better understood in the tree tops. Visitors will be in a wetland and using power from the sun, wind and water to make things functional. School children will be able to see why an aspect of nature is important as they learn through discovery and have fun at the same time. September 21st also marks the opening of Autumn at the Arboretum, an annual festival that showcases autumn flora and foliage and pumpkin displays. 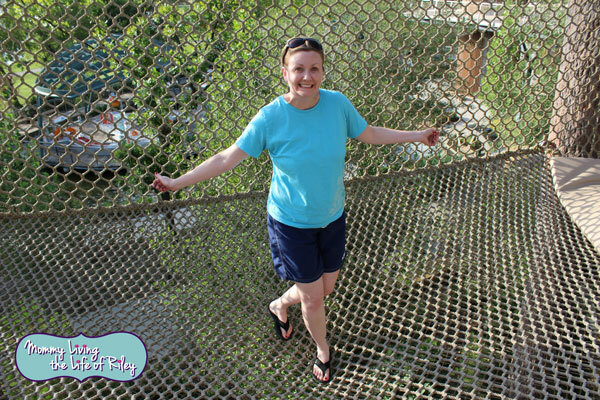 Since The Children's Adventure Garden will also be opening on that day, my family is actually considering a trip back to Dallas just for this event! In addition to the beautiful horticultural displays throughout the Arboretum and in tribute to the opening of the Rory Meyers Children's Adventure Garden, this year's playhouse exhibit is titled, "The Adventures of Great Explorers". Six explorers are showcased with small replications of destinations where each explorer traveled. The six explorers featured are Ponce de Leon, Captain James Cook, Marco Polo, Hernan Cortes, Lewis & Clark and Admiral Byrd. There's also a fabulous attraction for the entire family featuring Alice's Adventures in Wonderland. Four topiary flower houses nestled in the shade of the Pecan Grove depicting the Adventures of Alice, the White Rabbit, Cheshire Cat and the Mad Hatter. Costumed character during Family Fun Fridays will bring the stories to life. Bring family, friends, favorite food and beverages and enjoy one of the most breathtaking views of White Rock Lake while enjoying some great bands too. Voted Best Concert Venue by D Magazine, the Martin Rutchik Concert Stage hosts some of Dallas’s best bands including Emerald City, Asleep at the Wheel, A Hard Night’s Day and many more. 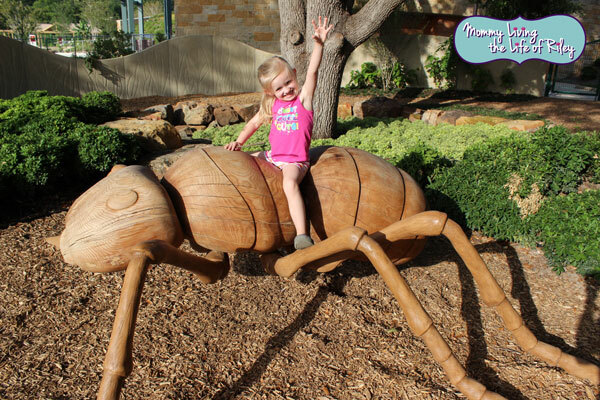 What's more, if you're traveling with kids, the Dallas Arboretum and Botanical Gardens has you covered in the pint-size entertainment department. Offering the flexibility often required when touring with kids, the arboretum has a downloadable Kids' Discovery Guide that will take you through the gardens at your own pace while using clues to hunt for bronze statues. 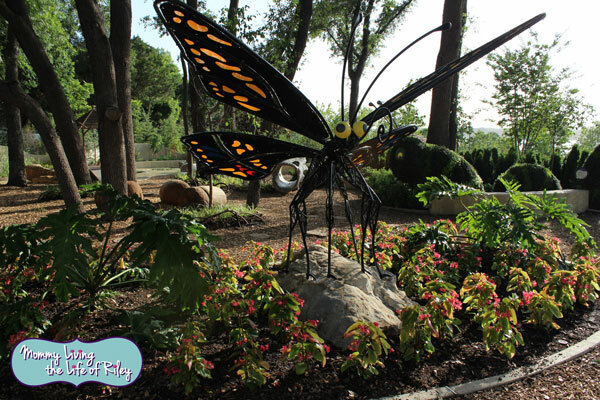 This summer, be sure to soak up all the wondrous beauty that nature has to offer at the Dallas Arboretum and Botanical Gardens, named one of the Best Botanical Gardens in the US of 2013 by the Travel Channel. 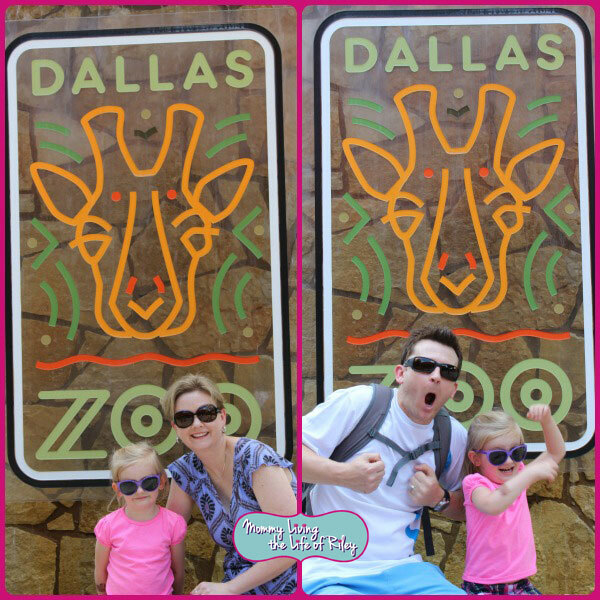 Stay tuned for my final post about our summer vacation in Dallas, Texas where I'll be telling you even more about the family fun we had here!